Below are all of the options from Holland America for southbound cruise departures from Seward Alaska bound for the inside passage and terminating in Vancouver Canada. 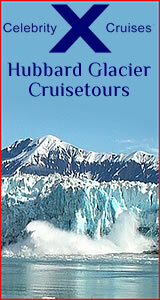 Holland America Alaska Cruises Schedule from Seward AK. Seward Alaska Cruise Departures 2014 with Holland America with a day cruise to the head of Glacier Bay and port calls in Haines, Alaska followed by a long visit to the state capital city of Juneau with the next day spent in the gateway city to Alaska in Ketchikan. This is followed by a scenic days cruise through the Inside Passage before terminating the voyage in Vancouver, British Columbia.